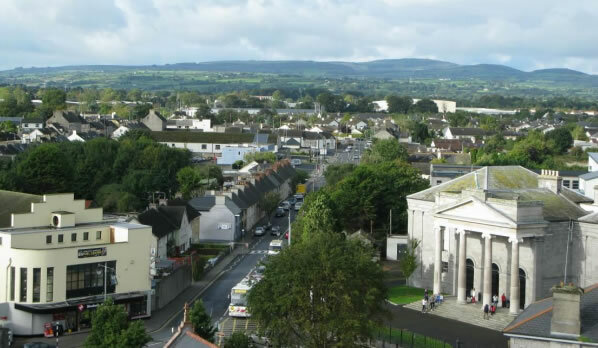 Nenagh is an attractive and bustling county town in North Tipperary. Originally a market town, Nenagh (Aonach Urmhumhan) is situated on the banks of the Nenagh River, which connects the town with Lough Derg to the west. The Town has a long history and a rich built heritage with the many fine buildings - Nenagh Castle (first decade of the 1200s), The Courthouse (1844), The Town Hall (1889), the Old Gaol (which now houses the Heritage Centre), St. Mary of the Rosary RC Church (1896), St. Mary’s Church of Ireland (1860) and much more. The many mature trees in and around the town, parks and public greenspaces, schools and sports grounds, as well as, the Nenagh River provide space for nature within the urban environment, and contribute to the town’s natural heritage. Biodiversity Action Plans provide a framework for protecting, managing and/or enhancing natural heritage in the area through action led by the local community. The process of producing such a plan creates an opportunity to co-ordinate action among local groups, individuals, statutory bodies, and other organisations.